You install the desktop app once. Your whole team gets realtime stats and build status via our website. Or they can install Shame Extruders, lightweight desktop apps that can also power a siren. 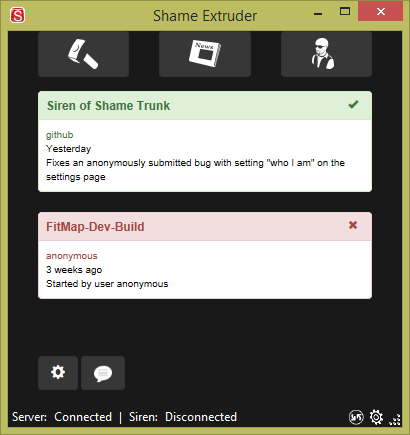 Remote control your siren via HTTP Post and/or Curl commands. 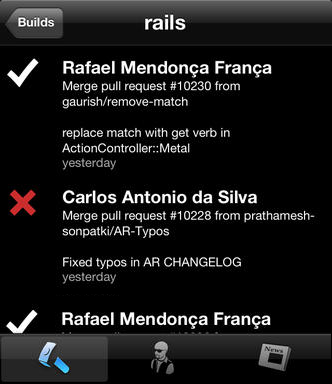 mobile apps exclusively to your team. 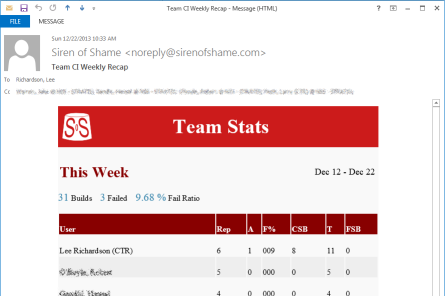 Team CI Pro adds reports like reputation over time. Check out our Team CI Pro Announcement. Team CI Pro is free for a month. Worried you might like it? Check out Pricing.